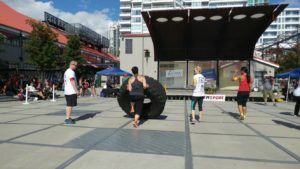 A lot of my loved ones, workmates, people I meet along the way, have asked me “How did you get into obstacle course racing?” or subsequently “How can I get into obstacle course racing?” to which, the answers are quite similar. I first learned about obstacle course racing about 5 years ago. The first one I had heard about was Tough Mudder, and once I learned it was a half marathon distance, I immediately forgot about it. During my career in health and fitness, I was operating as a sub-contractor personal trainer, and was training a friend of mine about 3 years ago. She told me that she was signed up to do the Spartan Race and wanted to train for it. When I looked up the race and saw that they had 5K (ish) races, that sounded more up my alley. My friend did it a few years in a row, and every year that went by, I felt disappointed that I hadn’t tried it yet. 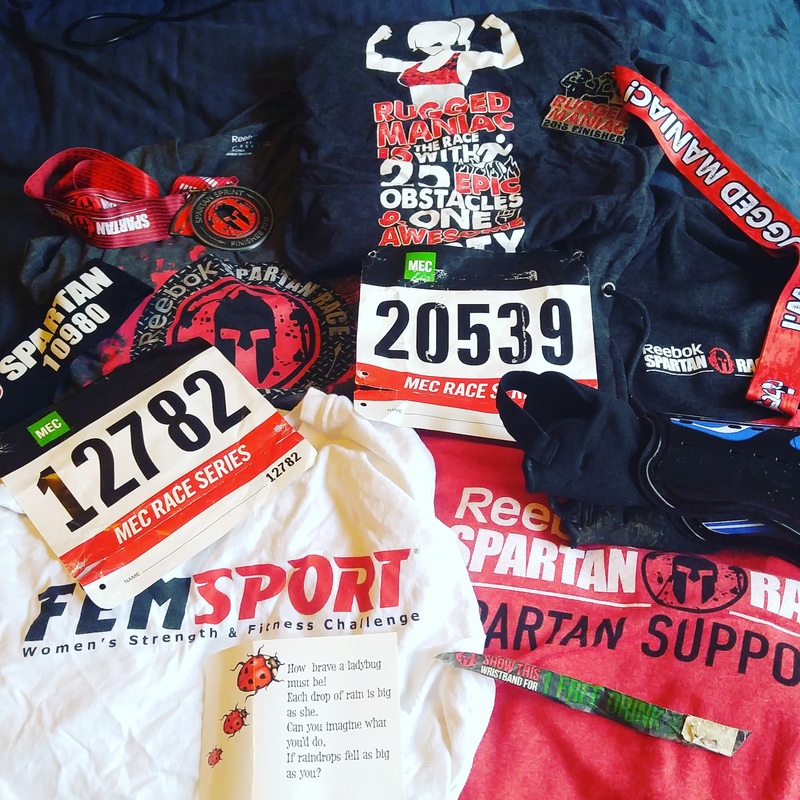 At the beginning of 2016, I said to myself “Come hell or high water damn it, I am registering for my first Spartan!” knowing every year, it was being offered in Vancouver, Canada each June. I actually did not know much about the race, other than it involved running, mud, and various types of obstacles. In my mind, it was like the physical challenges from the TV show “Survivor”, without any of that survivor stuff like eating bugs and building shelters from twigs. 2016 was going to be my year, damn it! I knew that I had to get back into shape. A combination of poverty following finishing my degree and culture shock from moving away from the city which I call “Home” and then moving back “Home” left my body and spirit a little tattered and exasperated. This year would be different, because I finally had stable work and hours and knew what times of day I could plan to exercise. What I have learned about motivation in myself and in my career, now working as a clinical exercise physiologist, is that 1) you need to plan ahead when you are going to exercise and 2) you are way more likely to train when you have a deadline. Of course, this doesn’t work for every person all of the time, but adopting those two strategies would procure a greater likelihood of success. Where did I start? Well, I needed to get back into running. I had completed a learn-to-run-5K training program at least twice before in years past, and I tried it earlier in the year but I was not staying consistent with my training until I registered for my first race in August with a friend. I also obtained a monthly pass to the local community centre gym and started weight training, for general strength building. In addition, I took up indoor rock climbing. Funnily enough, the times before in my life where I had attempted indoor rock climbing, I hated it. Going in with the goal of improving my upper body strength and agility in order to be better at obstacle course racing however, gave my training a focus that I lacked before. 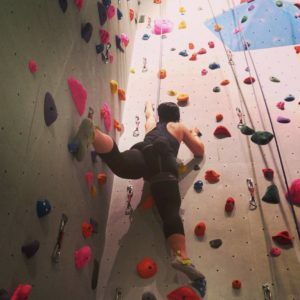 Turned out, I actually did like indoor rock climbing after all! At the beginning of the year, I hadn’t planned ahead to do one race or sporting competition per month, it just ended up that way. I had only decided in April that I would do a fun with my friend in August, and the Rugged Maniac race I only learned about in July. I was at an art show in September and ran into a friend who was doing Femsport and decided 2 weeks before the event that I wanted to do it with her. 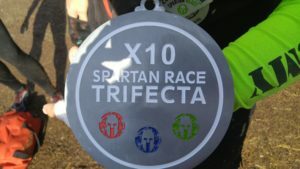 I learned about the Spartan sprint in Seattle in September and registered for it. After that, I knew that I had to keep training! The “on season” for obstacle course racing in Canada is approximately April to October, so I figured doing 5K road/trail races once per month would help me keep my training up in the “off season”. Along this path, I also learned about an obstacle course race training club called Vancity OCR. I first discovered them at Rugged Maniac, as they had a booth there. 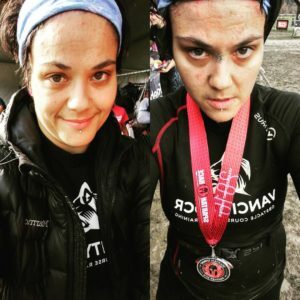 When I spoke with someone at the booth, I thought “hmm interesting, not sure I want to do that,” but after doing Rugged Maniac and then meeting someone at Femsport who was part of the club, I was sold and joined as soon as I could! I love doing the obstacle course races because I get intellectual gratification knowing that I am training all 6 dimensions of physical fitness: 1) endurance, 2) strength, 3) balance, 4) agility, 5) coordination, and 6) reaction time. It’s an all body sport that is also fun and a serious mental challenge requiring a lot of focus, patience, and determination. What has kept me in it though, was the people I was meeting along the way. My Vancity OCR coaches, the 3 guys at the Spartan Seattle sprint that helped me over the 6 foot wall, the man with the giant 10x trifecta medal (someone who has completed 10 each of the Spartan sprints, supers, and beasts in one year! ), the people I met when I was volunteering at the Spartan beast, every person I meet is super nice and down to Earth and so excited to be in it, together. Everyone you meet is your cheerleader. When I was volunteering the night of the Spartan beast, every volunteer and staff member on site went to the finish line to cheer the people who were last to finish. People get carried across the finish line when they are injured by other competitors. This. The integrity of the competitors, the positive attitude, the desire to succeed and crush personal obstacles, this is the beginning of my new obsession.